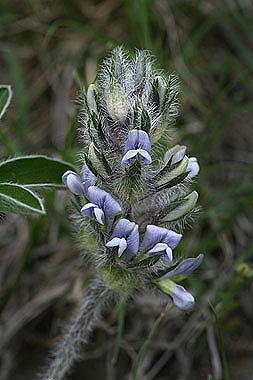 The stems, inflorescence and bottom of leaves of Pediomelum esculentum are covered with long hairs. Plants have an erect growth habit, reaching a height of about 12 inches. Leaves are palmately compound with 5 or 6 leaflets. 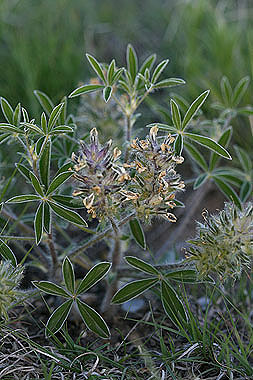 Pediomelum esculentum grows on the northeastern plains and is uncommon.